Kmart is selling the above journals for $3 each! I couldn’t resist. I hate bland though, and I love to be a little different. So thought I’d share my customisations with you. You can get as creative as you like! 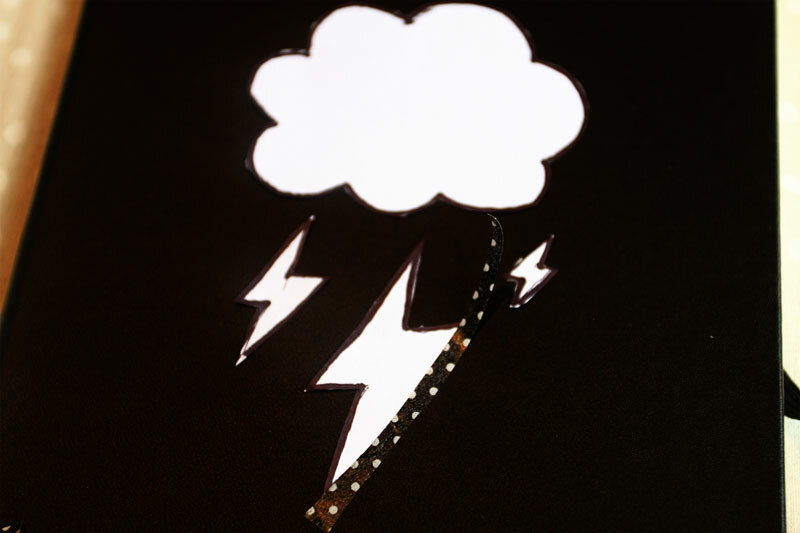 With this simple customisation, the only limit is your imagination! 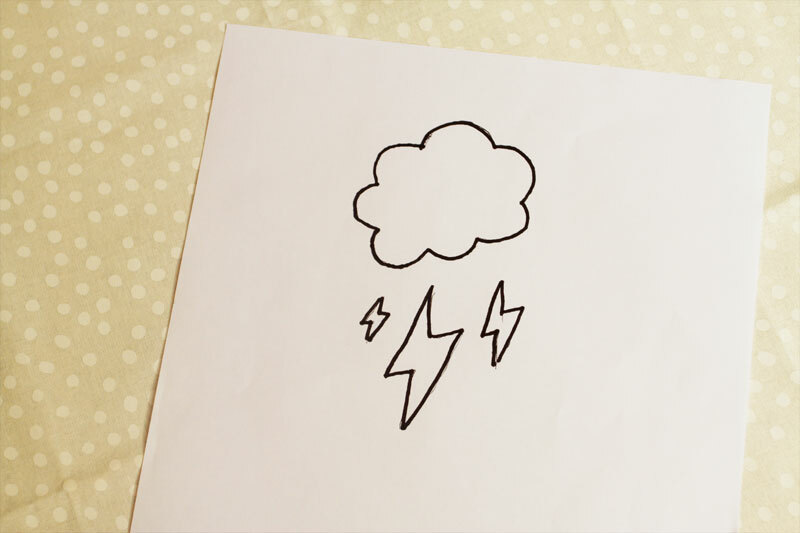 On your piece of paper, draw the image that you would like to stick onto your journal. 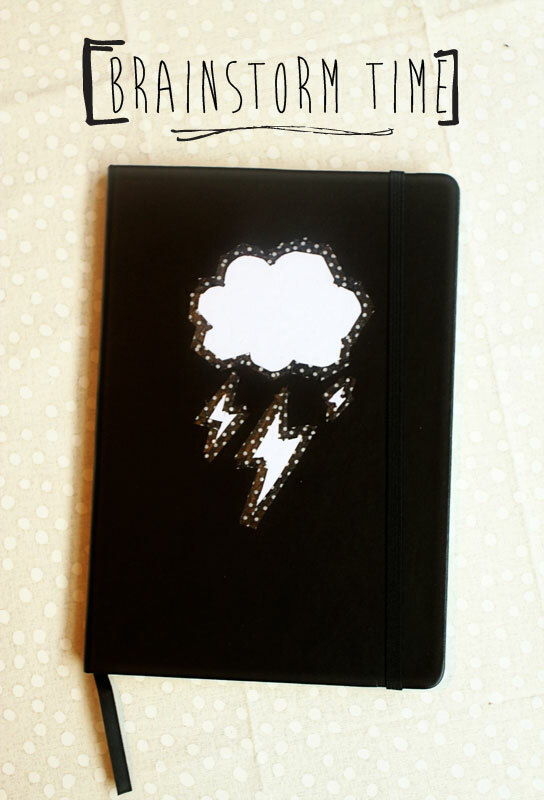 I chose a cloud and thunderstorm as this journal is going to be my ‘brainstorming’ journal. 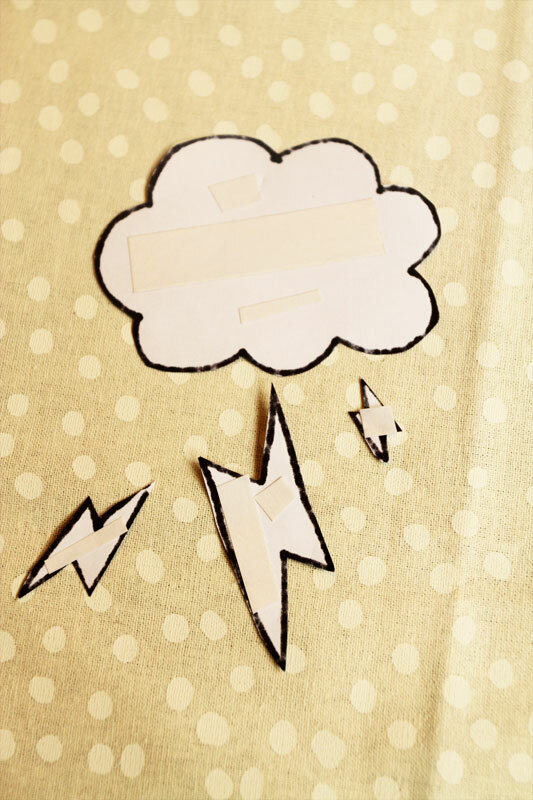 Cut out your image and, using double sided tape, stick it to your journal. 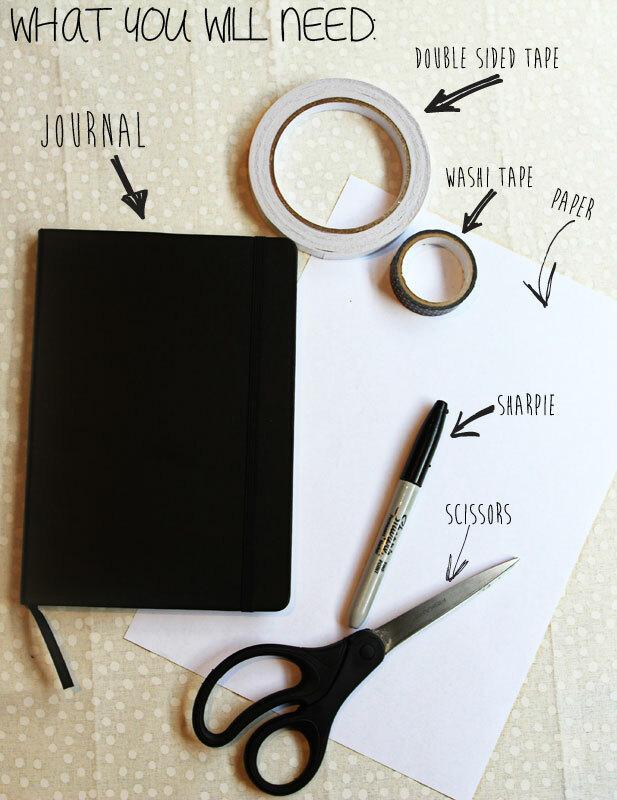 Next, cut your washi tape into thin strips (on a side note, how awesome is washi tape by the way!) and use it to tape down the sides of your image. And that’s it folks as simple as that. Have fun journaling guys! 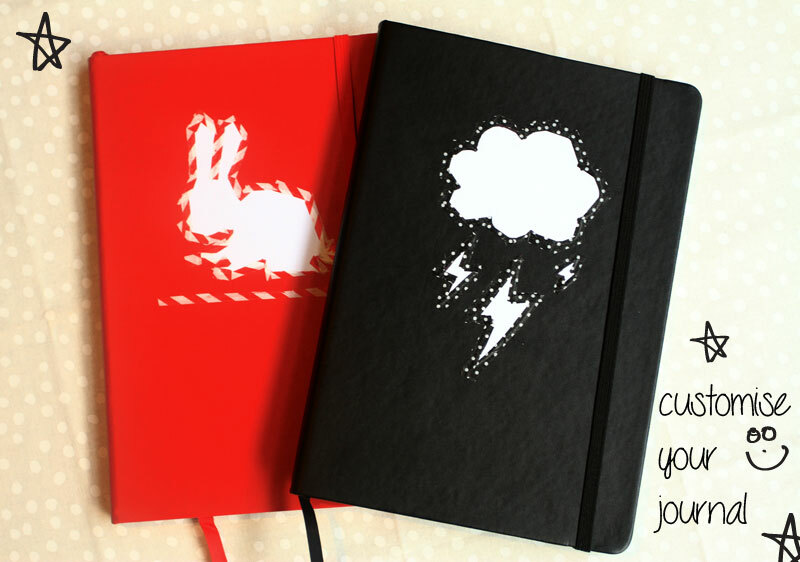 What will you paste onto your journals? I’m thinking some photos would look good! Hmm… might need to buy more tape.